This time of year, I do a lot of reminiscing and looking at old photographs. 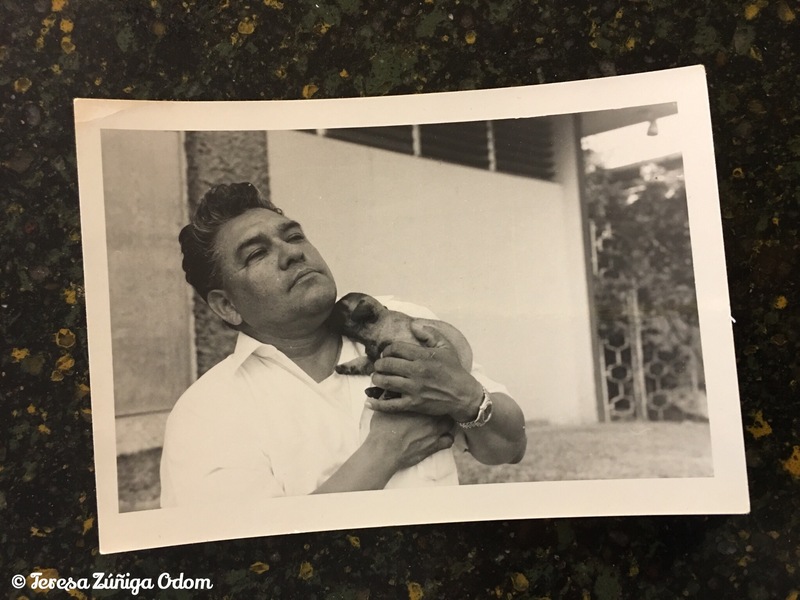 Thanksgiving has always been “the” holiday in our family – both Zuniga and Odom. When my dad, Aunt Gail, and grandmother were still alive, we always had Thanksgiving on the actual day at my house. 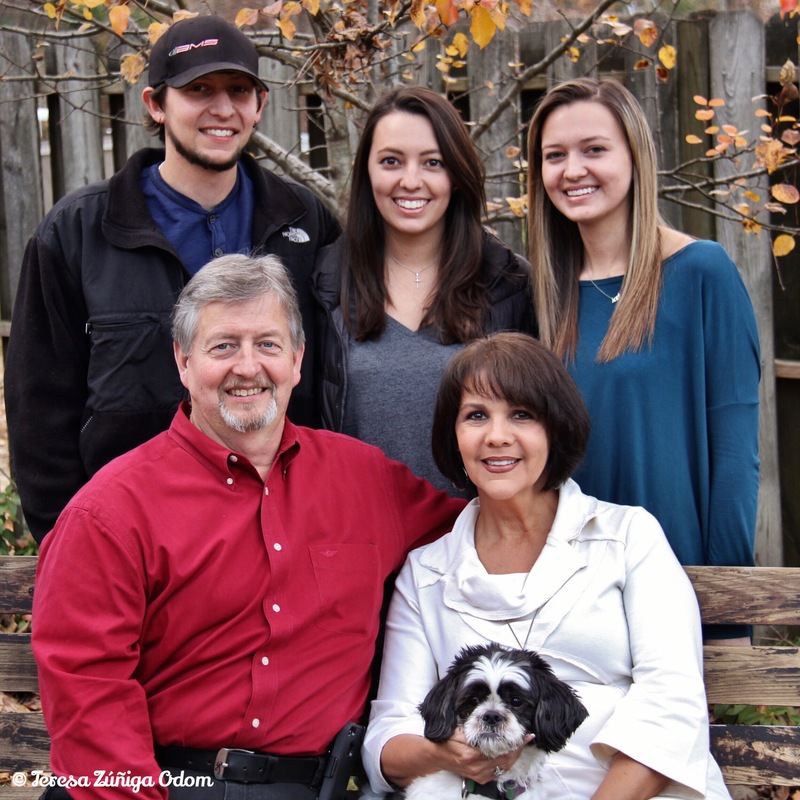 And we would have the Odom family Thanksgiving in Jasper the Sunday before. Soon, we were having our gathering on the actual day in Jasper. 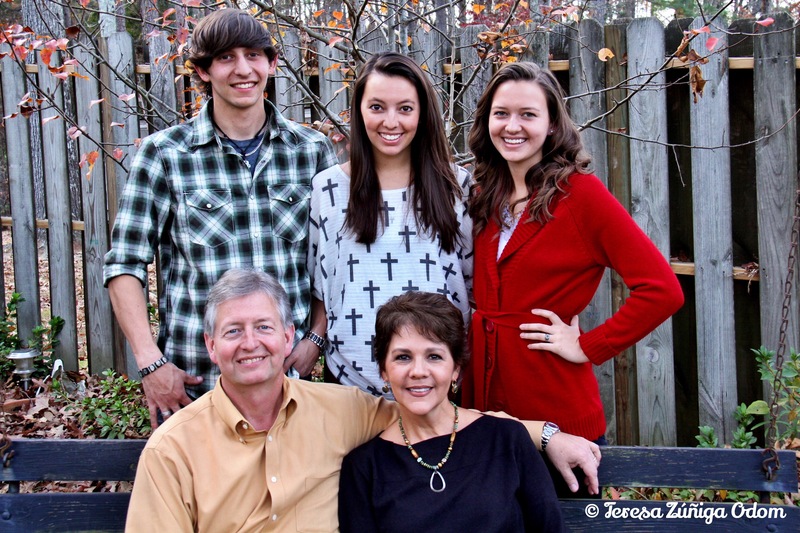 One of the things that remained constant for many years was the annual family photo on the Odom family swing. We have been taking a grand-kids photos for years on the swing but we really didn’t start taking a family photo until 2006. My niece, Kate became our “family photographer” for these photos and we used these photos for our Christmas card too. We were pretty consistent with this for many years until we switched to Christmas in 2015-2016. 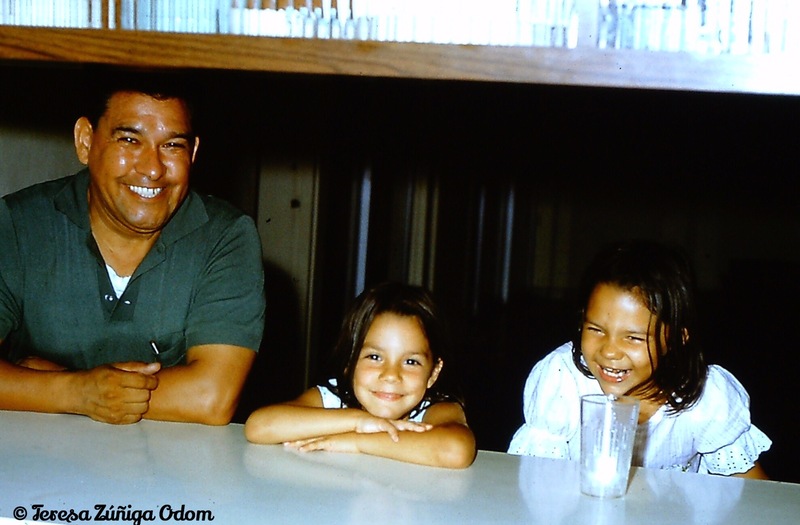 But for this Thanksgiving, I thought an Odom Family pictorial over the years was in order. Meanwhile, I always like to encourage everyone to take photos so you can reflect back on these times later in life. I’m finding time goes by very quickly and these photos and memories are so priceless. Here are our photos over the years…beginning with 2006. We were all seated on the family swing and Allen and Rhonda’s dog, Ozzie decided he wanted to get into the picture! Nov 2006 – Photo bomb by Ozzie! Nov 2006 – Our Christmas card photo! In 2007 – Our 2007 photo was taken after a major family football game in my in-law’s backyard! I’m surprised we were all so put together after all that! Then in 2008, everyone sympathized with Anna Marie by puffing up their cheeks. She had her wisdom teeth taken out a day earlier and was a bit swollen! We didn’t use any of these photos for our family photo, of course, but she was a good sport and posed for photos regardless of how big her cheeks were that year! Nov 2008 – The adults tried to make Anna Marie feel better by taking a photo with our cheeks puffed out – Anna Marie had her wisdom teeth pulled earlier that week! I couldn’t locate the photo from 2009. But here are the ones from 2010 and 2011. We included Lucy in the 2010 photo. Here are the photos fro 2012 and 2013. In 2013, we hosted Thanksgiving in Hoover so we took the photo on our deck. In 2014, we took our last family photo on the Jasper swing. After that, we had to change to taking the photo after decorating the Christmas tree at our house in order to have everyone together. I’m sure this will continue to change over the years but if we can manage one family photo together a year, I’ll be happy! This entry was posted in Blog Like Crazy, Odom Family, Photography, Thanksgiving, Zuniga Family and tagged Blog Like Crazy, Canon Photography, Odom Family, Photography, Thanksgiving photos on November 23, 2017 by Southern Señora. Tomorrow is Veterans Day…a day set aside to honor the service of all US military veterans. Today I was watching a DIY program and the man in the segment was talking about his father’s service and how when he died recently, he was buried at Arlington Cemetery. He said just driving through the cemetery and seeing tombstone after tombstone that it really hit him…this is the price of freedom. All these men and women who have served, and in many cases gave their lives in the field of combat. I thought about the time I visited Arlington several years ago and remember having a similar feeling as I walked through and watched the changing of the guard at the Tomb of the Unknown soldier. Reading some of the headstones was somber as well…so many young lives. Their young ages made me think about my father. My dad was 20 years old when he enlisted in the Army in Santa Fe, New Mexico. His occupation at the time was listed as fountain clerk in his hometown of Carlsbad. He had already been taking flying lessons and wanted to be a pilot prior to enlisting. Eventually he became a pilot instructor for the Army. My mother always had a picture of dad visibly stationed in our home. It’s a picture of dad in his uniform…you know the old saying – “I love a man in uniform.” Well, I always loved this photo of my father in his uniform. 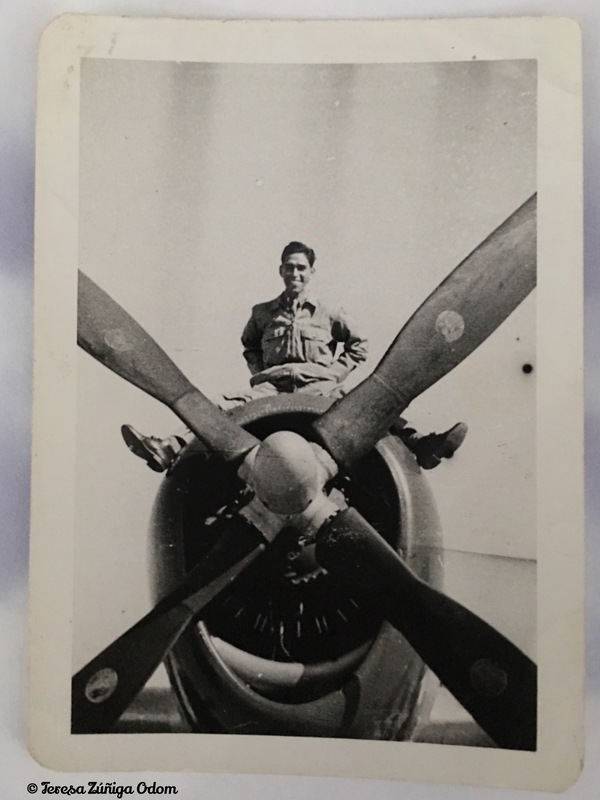 As I got into researching our family tree and history, I was fortunate enough to accumulate some more great photos of dad in uniform and by his plane. For his memorial service in 2001, I created a scrapbook of these photos along with newspaper clippings that my grandmother had saved all these years from dad when he was star quarterback for the Carlsbad Cavemen football team. He was so young…and so handsome! Most of our family had never seen these photos either so it was a great memory to watch everyone’s reaction to them at the service. 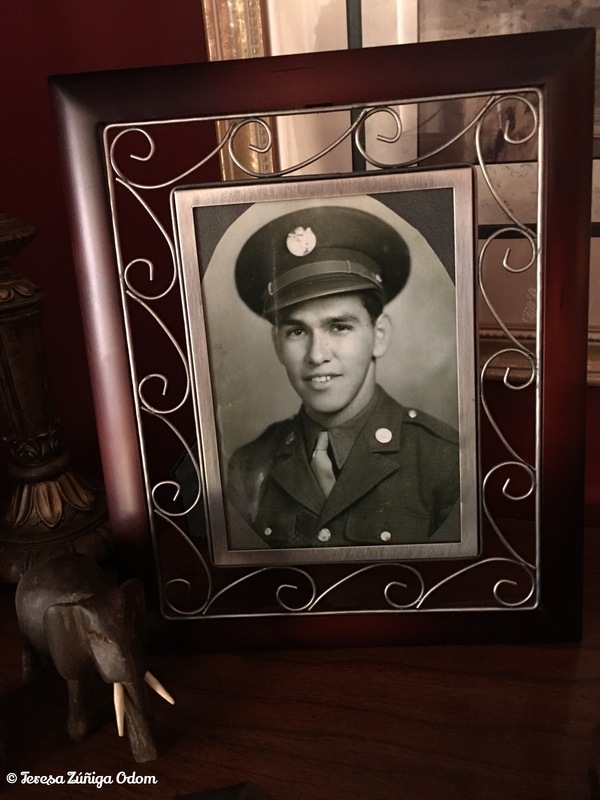 I can’t think of a better way to honor my dad on Veterans Day then to share these photos today. Our family is so proud of his service and how it shaped his life. Happy Veterans Day. 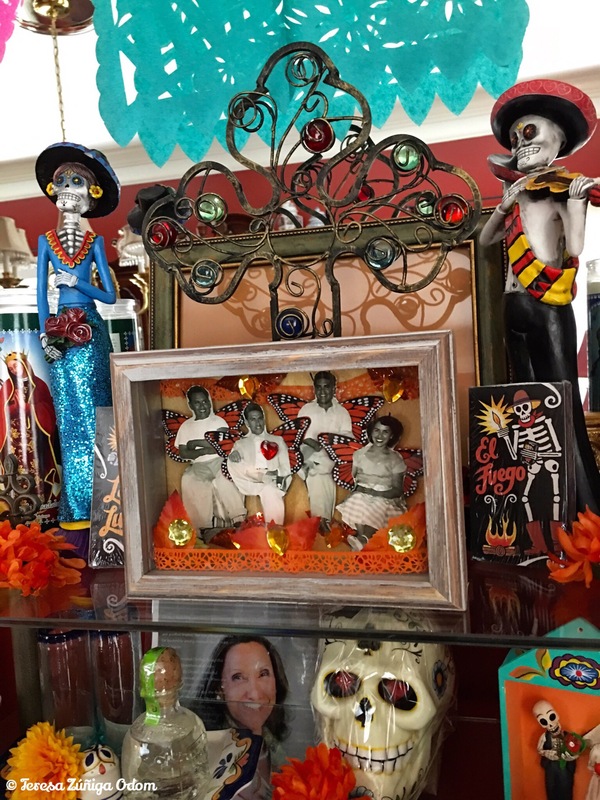 This entry was posted in Blog Like Crazy, New Mexico, Photo Vault, Veterans Day, Zuniga Family and tagged Arlington Cemetery, Army, Black and White photos, Canon Photography, Carlsbad Cavemen, Photography, Veterans Day on November 10, 2017 by Southern Señora. 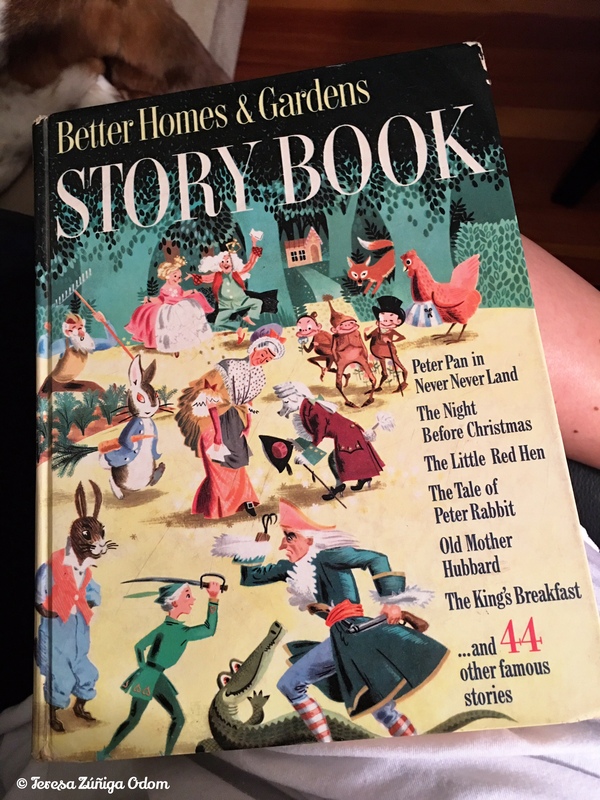 The Better Homes and Gardens Storybook that me and my sisters had as children living in Puerto Rico. Today was a blustery day…it had me thinking about Winnie the Pooh and the blustery day movie that I used to watch with my kids when they were little. I told a friend the gray sky and wind made me think of living in Chicago and the way the sky would look right before it would snow. Of course, that’s not about to happen here right now! It’s 69 degrees outside and we are in a drought – rain would be a welcomed sight tonight! The wind also had me thinking about a poem I learned when I was around 8 years old and living in Puerto Rico. My mother bought me and my sisters a Better Homes and Garden Story Book. I always loved that book because of all the stories and poems that filled it. I remember writing my name along with the names of my sisters in the “this book belongs to” section in the front. 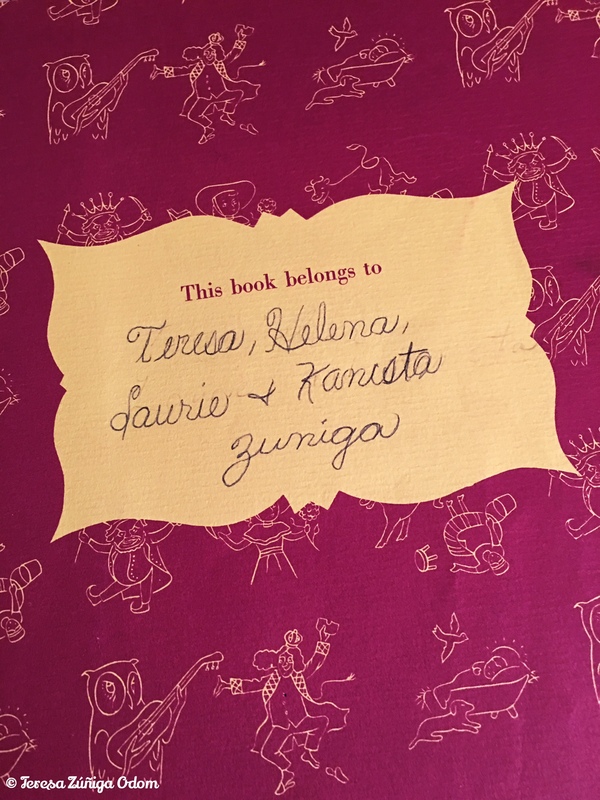 I wrote our names in the book – me and my sisters – in case there was any mistake about who the book belonged to! 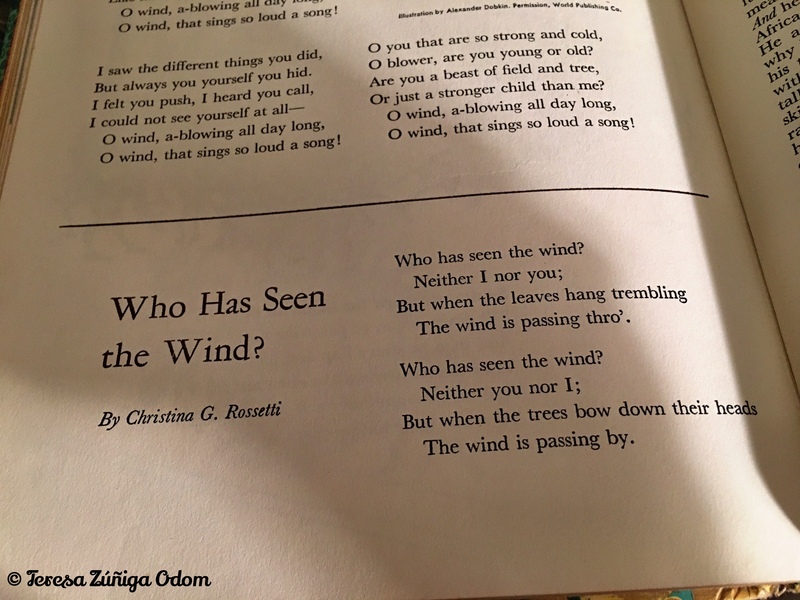 The poem in the book – a short little poem that apparently had quite an impact on me as a child. But when the leaves hang trembling, the Wind is passing thro’. But when the trees bow down their heads, the wind is passing by. 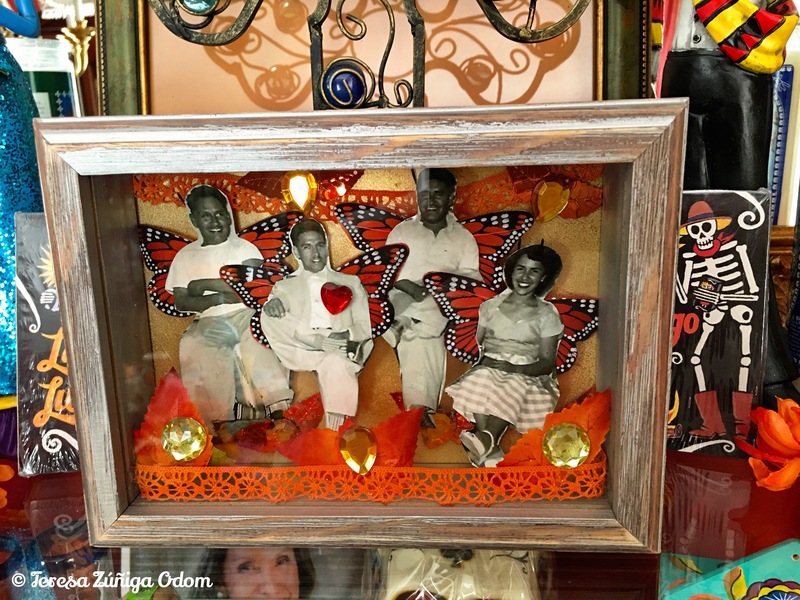 This entry was posted in Blog Like Crazy, Bloglikecrazy, Poetry, Zuniga Family and tagged Better Homes and Gardens, Childhood, Christina Rossetti, Poetry, Who Has Seen the Wind? on November 28, 2016 by Southern Señora. When my kids were little, I was always looking for ways to bring the importance of thankfulness into their lives, especially at Thanksgiving. We did the usual taking turns around the Thanksgiving table saying what we were thankful for and brought out little items they made at school as part of our dinner each year. 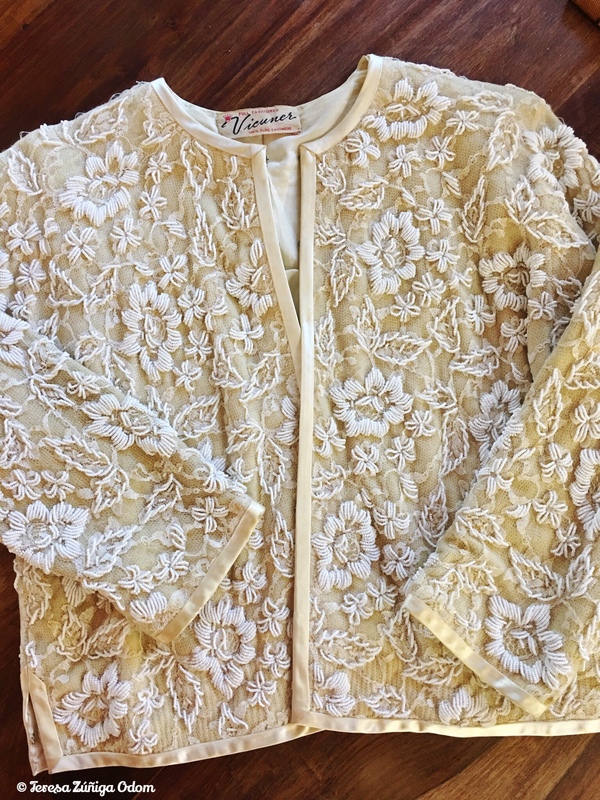 Pinterest wasn’t a “thing” at the time so going out and finding a multitude of ideas wasn’t readily available. Hard to believe with the access we have on the internet these days. 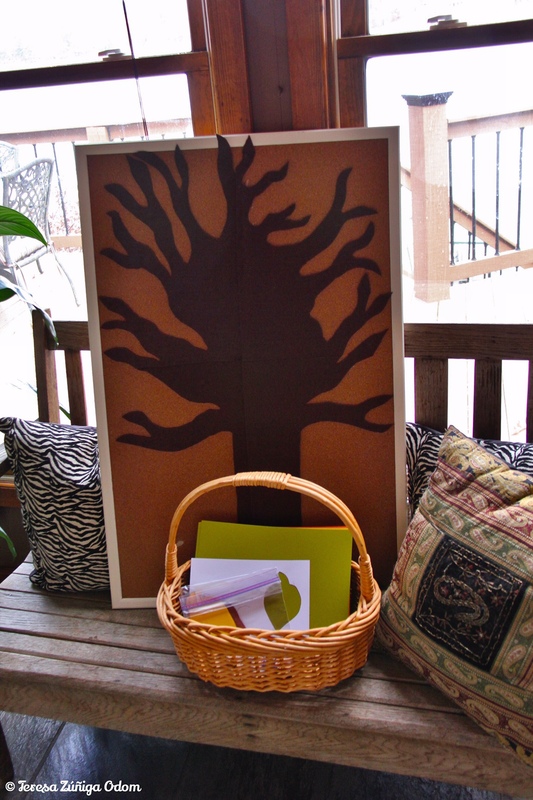 One year I remember reading about creating a Thankful Tree using limbs from your yard and hanging leaves (cut out leaves or fake leaves) on a string to the limbs with why you were thankful. I really liked that idea and it took on greater meaning to me in 2007. That was the year that both my mother and her sister were diagnosed with cancer. To me, for this to happen to two sisters in one year was an incredibly sad situation. Mom was diagnosed with breast cancer that March and my Auntie Gail was diagnosed with ovarian cancer that September. Getting them both through their chemo, radiation, hospital stays and doctor visits was tough that year. But I’ll always remember how brave they both were and how difficult it was for them. It was a privilege to be able to support them both that year and watch their courage as they fought this disease. At Thanksgiving that year, I asked the kids to go out into our yard and find some limbs so we could make our first ever Thankful Tree. We put them in a vase and cut pieces of brown yarn and added them to leaves. Unfortunately, we couldn’t write on the leaves so we used sticky notes and stapled them to the leaves and hung them on the tree. I remember watching my sweet Aunt write why she was thankful that year on a sticky note and then help two of her grandchildren with their own sticky notes. I was so thankful that year that we were all able to celebrate Thanksgiving together because I know how difficult it was for both my aunt and Mother to get through their treatments. My Aunt Gail with my daughter Emily – the first year we had a Thankful tree made from reall tree branches. My Aunt’s first “leaf” and her grandchildren’s leaves…Cole and Emma. Auntie Gail helps her granddaughter Emma with her leaf. A few years later, I found some paper leaves we could write on and we used those for the tree. We had a few transitions over the next few years, celebrating Thanksgiving with the family in Jasper so we didn’t make the tree for a while. But then my sweet Sister-in-Law, Rhonda, passed away suddenly in July 2014 and finding a way to be “thankful” was something I felt we needed as a family that Thanksgiving in Jasper. I wanted to create something more permanent that year so I had this idea about using a bulletin board and using felt to create a tree on the board. I enlisted my daughters to create this tree and they did a fantastic job drawing it out, cutting it out and then gluing it to the bulletin board. They also cut out different fall color leaves from construction paper so we could write on them. Emily helps Anna Marie glue to felt tree to the bulletin board. When I introduced it at the family gathering that year, it was just what we all needed. Don’t get me wrong, in no way did it replace those that we have lost over the years but it did give us time to reflect, all gathered as family, about what we still have and what we need to maintain our family ties. I think it helped us reflect on our love for one another through whatever comes our way. 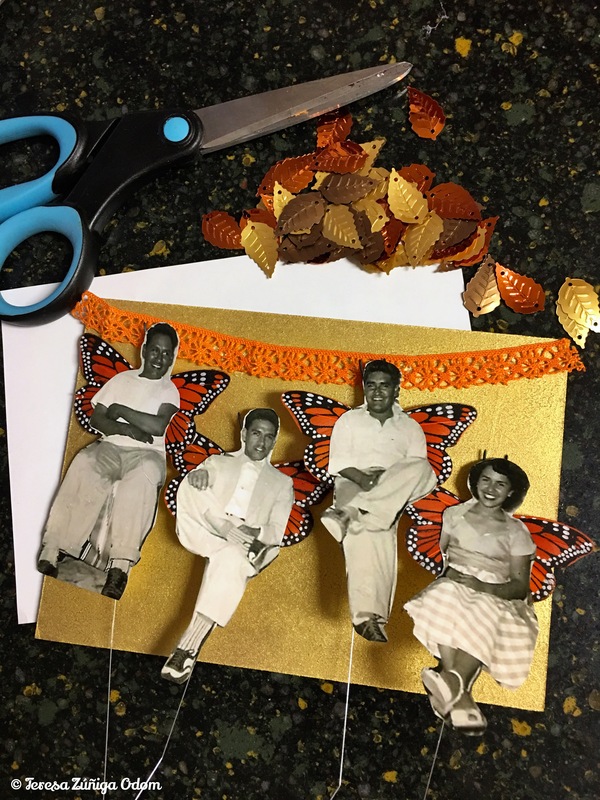 It was a blessing to watch the “kids” – almost all adults now – take to this “new” tradition and write something special to themselves on a leaf. We have now used the bulletin board Thankful Tree for 3 years and I love reading what everyone writes. Whether it’s something funny in the laughter of the gathering or if there is something special on someone’s heart, it captures that person at that moment in time. I really do hope we continue to do this for years to come. I have a larger project in mind after a few years of collecting these “thankful leaves’ and hope that by next year I can get it underway. Meanwhile, each year I take the leaves that are put on the tree, write the year they were written on the backs of the leaves, and store them with my Thanksgiving decorations. I am so very thankful that I found this idea so many years ago and I’m thankful for the creativity of my daughters in creating this on a bulletin board so we can keep it going. 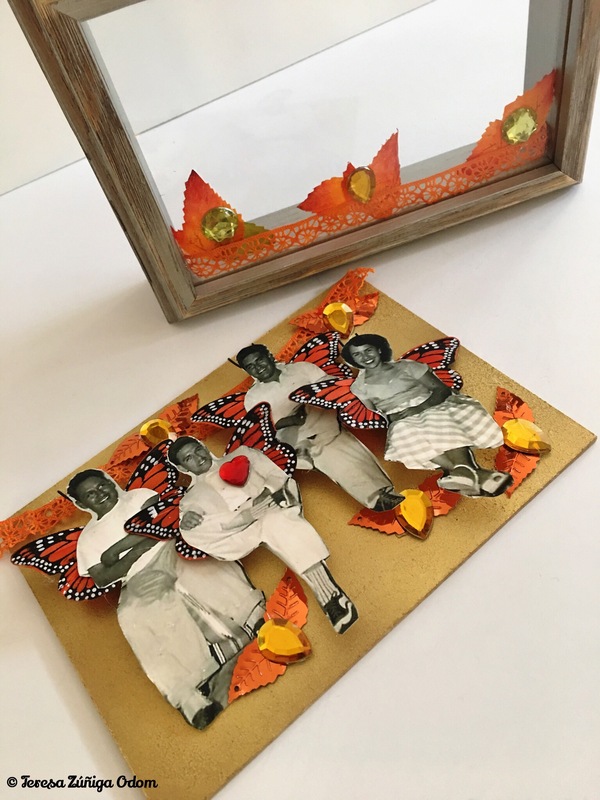 This entry was posted in Blog Like Crazy, Bloglikecrazy, Odom Family, Thanksgiving, Zuniga Family and tagged Bloglikecrazy, Family, Happy Thanksgiving, Leaves, Thankful tree on November 20, 2016 by Southern Señora.